• Get An Outsiders Perspective – Ask your family and friends to offer their suggestions. Getting a pair (or many pairs) of fresh eyes to look over your property can provide new ideas which may have otherwise gone unnoticed, especially if you have owned the property for quite some time. 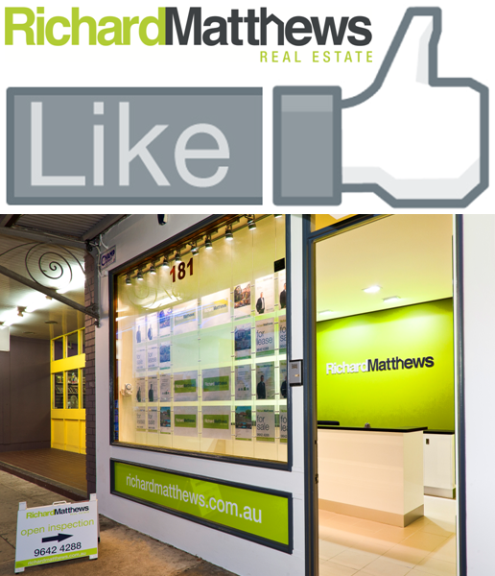 Ask your Richard Matthews agent for expert advice. • Street Appeal – People often judge a property by the outside (like a book is judged by its cover). Repair and paint where necessary. Keep the garden weed-free, lawns mowed. Perhaps visit a nursery and plant some bloomers to add colour and freshness. Adding some potted plants which you can take with you when you move is a great way to save money. • Backyard & BBQ Area – If you have a backyard ensure the gardens are maintained, surfaces are swept and where necessary washed down. Clear away clutter, cut back large shrubs or trees to create as much space as possible. Consider setting up an entertaining area. Borrowing an outdoor setting from a friend or family member is a great way to save money. Make sure the setting isn’t too large for the space. • Walls and Floors – Paint walls and ceilings where necessary. If you are budgeting and the paint is still in good condition, consider using a product like Sugar Soap to clean away surface dirt. Vacuum and steam clean carpets. DIY carpet cleaners might also help to improve the appearance and smell. Consider adding rugs to cover particularly worn or soiled areas. Wax or polish floor boards. Repair or replace broken tiles. When choosing finishes such as paint, carpet and tiles you can appeal to a broader market by selecting neutral colours. • Garage Sale – A garage sale offers many benefits. You can earn some pocket money and you move less items to your new address, but most importantly it enables you to present your property as clutter-free as possible. Don’t be afraid to pop furniture into the sale. • Window Coverings – Often overlooked window coverings play a bigger role than we realise. Clean blinds and curtains. Replace or repair broken coverings. If you have external awnings ensure these are also clean and unbroken. • Fresh is Best – Consider electronic freshener dispenses. Regularly air your property out by opening windows. Smells often get trapped in porous surfaces such as window coverings, lounges, carpets and rugs – so you may consider deodorising these with suitable cleaning products. • Maintenance is Key – Keep up the internal and external appearance of your property during the campaign. It is an ongoing task so ensure you clean on a regular basis. If you would like to chat about these tips, or would like a free property report, please call the team at Richard Matthews Real Estate on 9642 4288.